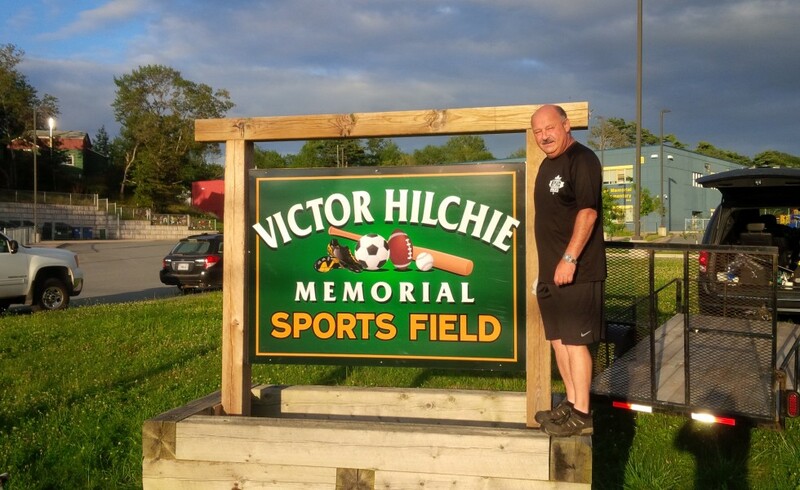 After the sign honouring Victor Hilchie’s donation to the lands for the sports field at Waverley Memorial went mission many years ago, we asked Steven Hilchie if he would build a new planter sign and Petter Lawrence of Windsor Jct a new sign. As you can see, we installed the planter box and set up the sign! The picture does not do it justice so you should definitely drive by the school to have a look at how tremendously colourful and beautiful it is. ← The Waverley Heritage Museum is OPEN for the summer!